Haunted Illinois is your online source for Halloween, Haunted Houses and Haunted Attractions throughout the state of Illinois. 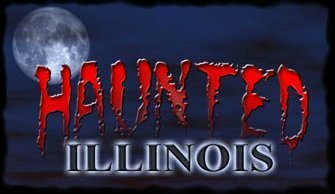 Haunted Illinois has the internet's most comprehensive directory of Illinois Haunted Houses, Illinois Ghost Tours, Illinois Supernatural Tours, Hayrides, Haunted Trails, Corn Mazes, Haunted Cornfield Mazes, Home Haunts, Yard Displays and Pumpkin Patches. Listed in the directory are well-known Haunted Attractions like the Raven's Grin Inn, Dream Reapers Haunted House, Eleventh Hour, Statesville Haunted Prison, Creatures Crypt and more! You will also find Haunted House reviews, hundreds of links to Halloween-related websites & Halloween music downloads, as well as reviews of Haunted House Industry events / trade shows / conventions like Transworld's Halloween, Costume & Party Show, Hauntcon, the Midwest Haunter's Convention and Ironstock.